English is undoubtedly something fundamental today, if you do not have time to teach, you should know that there are plenty of applications to learn English with which you can boost your future. Currently, English is a practically essential language , not only when it comes to choosing a good job inside or outside the country, but also to travel, meet people in person or through the Internet and, why not? Help you seduce . This Android application available for mobile and computer, is completely free and also very fun . It consists of a small set of questions in which for each incorrect answer the protagonist loses lives, in the same way that for each success achieves merits and rises in level . Its creators update it regularly to ensure good learning . 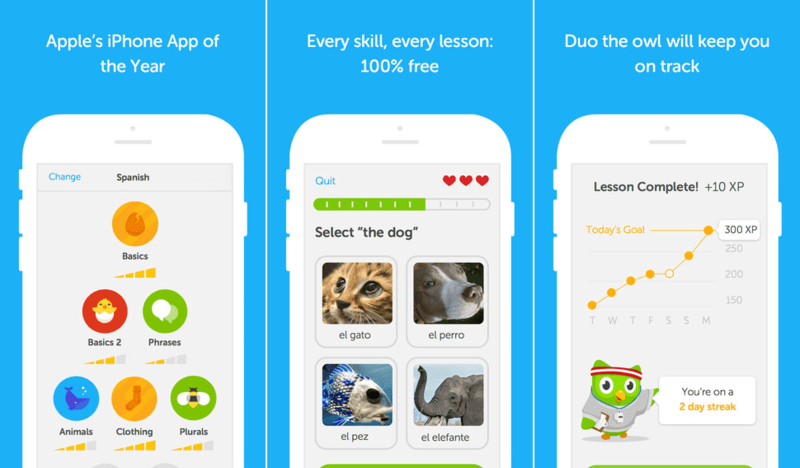 An app that was born in 2013 in Spain and that helps you learn easily. You will get hooked to the first one because you will be able to see exclusive short films , related to the day-to-day experiences. In the creation of this app have involved philologists, technology experts, linguists … all to give you a first level product that could really help you a lot to learn English. It is available for all Smartphones. It consists of a large online community that you can access from any platform to chat live with native speakers who want to learn your language and with whom in exchange for a talk in English you must have one in Spanish. It also offers reading and conversation practices in case your level is a little lower and the possibility of practicing many more languages ​​simultaneously . Undoubtedly the application that offers the most vocabulary . In a similar way to duolingo will subject you to vocabulary exercises with which you can learn more than 3000 new words . If what you want is to overcome one of the official tests of the language , without a doubt this is your application. It provides an infinity of exercises based on official models of Cambridge exams, offering also the possibility of maintaining on-line tutorials on grammatical doubts with native associate professors . The best option for beginners, this application offers lessons from the most basic language level to the most advanced in a simple and intuitive way to overcome them. You can also create a completely free account to start learning and decide later if you want to upgrade to the Premium category. In short, all these applications are contrasted and help thousands of people a year to master another language , but something that can also help you a lot to learn or strengthen a language is to watch movies or series in the original version . This makes the mind get used to the language naturally without the need to travel, and may even develop thoughts or dreams in that language . A combination of both, applications and movies / series subtitled, or even the best websites to learn English , will make you speak the language of Shakespeare much sooner than you think and most importantly, while having fun .